It seems the weekend is finally here, which means, new post! Last weeks post unfortunately got cancelled since I was on holiday, but my tan has finally brought an opportunity to review this new MAC foundation. 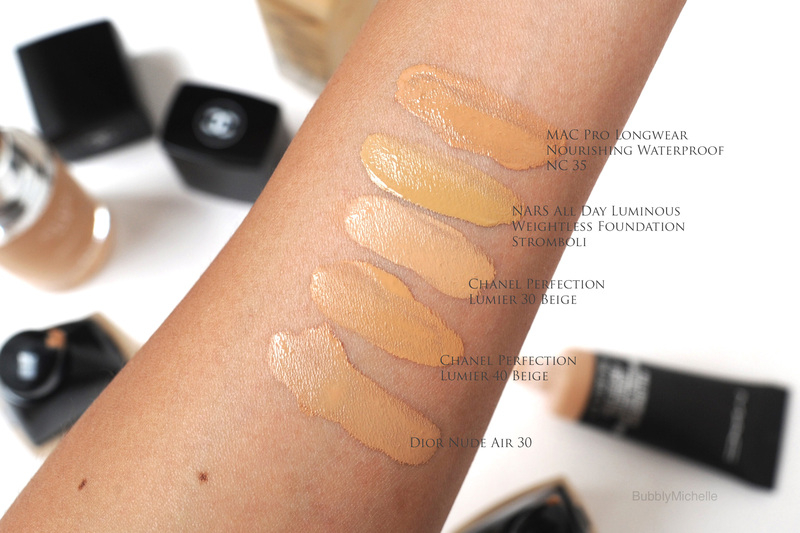 Todays discussion is about the MAC Pro Longwear Nourishing Waterproof foundation which released 2-3 months back. Even though i’ve had this for over 3 months (as I received a sample for review), i’ve been reluctant to post a review due to the fact my regular shade NC 35 oxidised on me quite a bit, and basically was too shy to post blog photos of myself looking like a Cheeto. Now that i’m a lot darker, this matches great! Hence todays review! 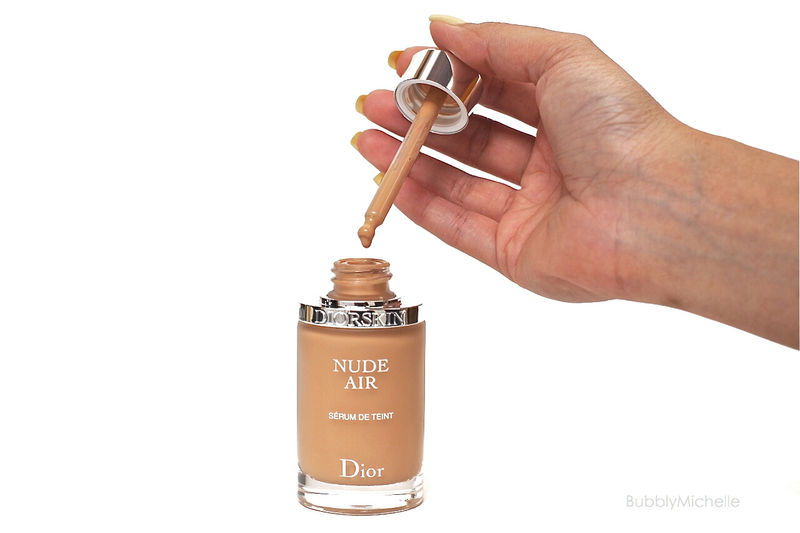 Anyways diving right in, this foundation comes in a squeezy plastic tube packaging with a screw on cap. A hygienic and travel friendly provided the cap closes securely, and it does. I also like that there are no messy wands, droppers and pumps to work with and controlling the flow of product easy. On a side note, highly appreciate that this doesn’t require you to buy the pump dispenser separately like some other MAC foundations (so yay!). 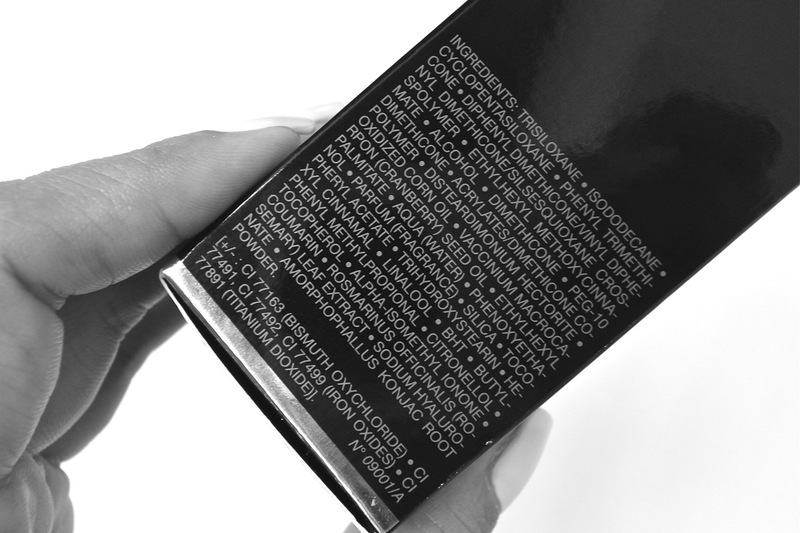 As seen above, the matte black packaging also features a transparent band where you can easily monitor just how much product’s left as you near the end. A welcome, useful design element! Moving onto formula, this has an almost whipped silky, creamy texture. Quite smoothing and nourishing as the name suggests. It feels lightweight when applied, though you do feel the foundation slightly tacky to the touch & definitely needs to be set with a powder. It’s what makes it long wearing though, as it hugs the skin. Basically going no where once applied. Most days I prep my skin with a primer. 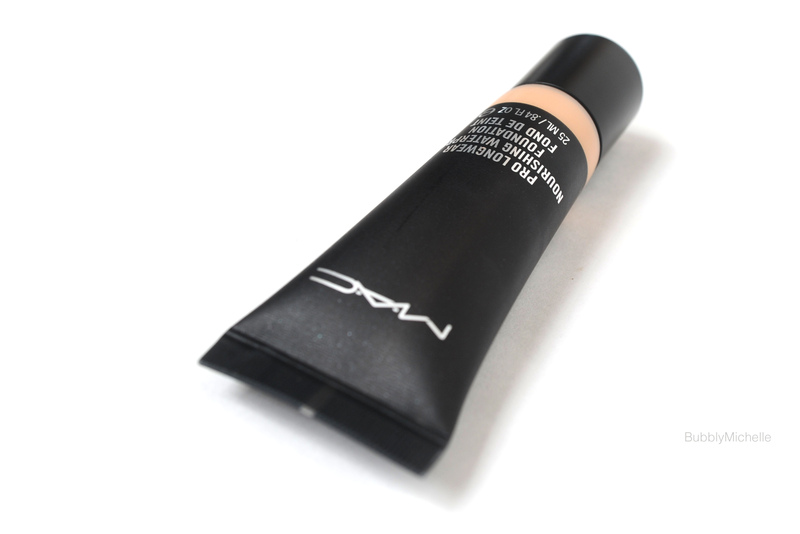 It gives any foundation a smoother surface to work on and extends wear. 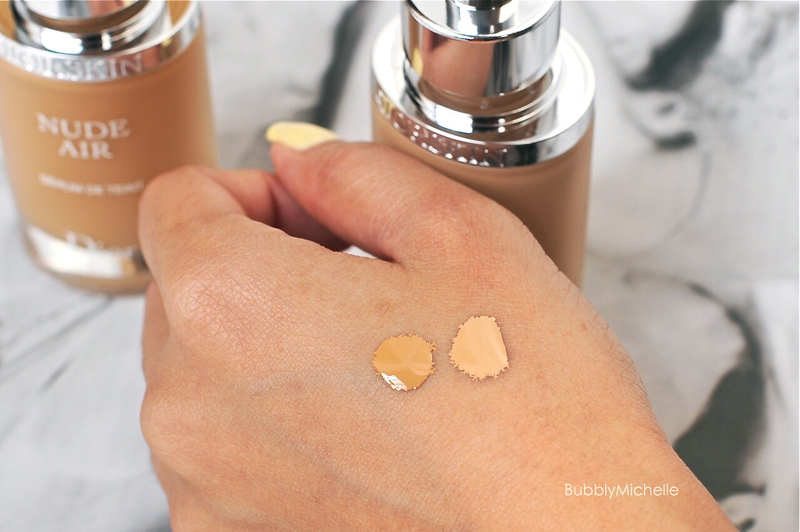 However I did notice this foundation didn’t pair well with mattifying primers such as the new MUFE one. It gave the foundation an awful, patchy finish and emphasised flakey areas and texture. I’d suggest a regular smoothing primer or a good old moisturiser (10 mins prior to application so the skin surface isn’t too moist) for best results. For application you can go for a brush or a sponge. I on the other hand like to use fingers and work section by section. It gives the best finish in my experience. No streaks and very even. Here’s a before and after, I’ve only primed my face with my regular moisturiser, nothing else. 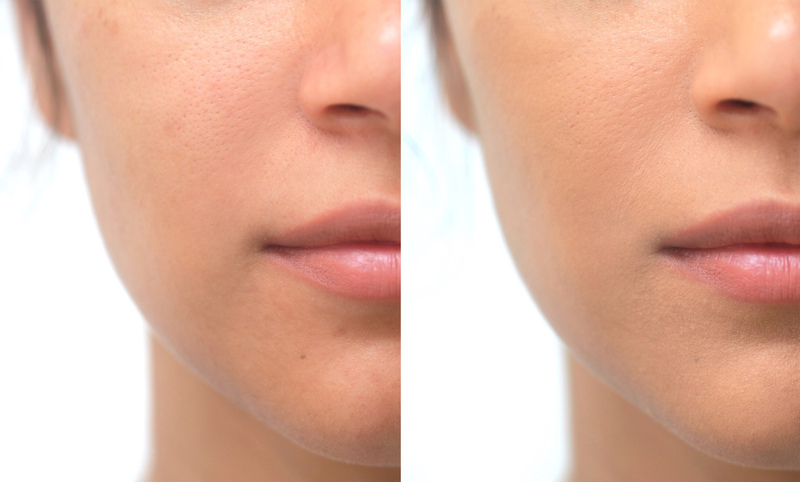 As you can see, coverage is medium with a satin finish. This foundation does not settle into fine lines. I specially noticed that it sits great on the sides of the nose and also stays crease free on the smile lines, the trickiest areas of my face. 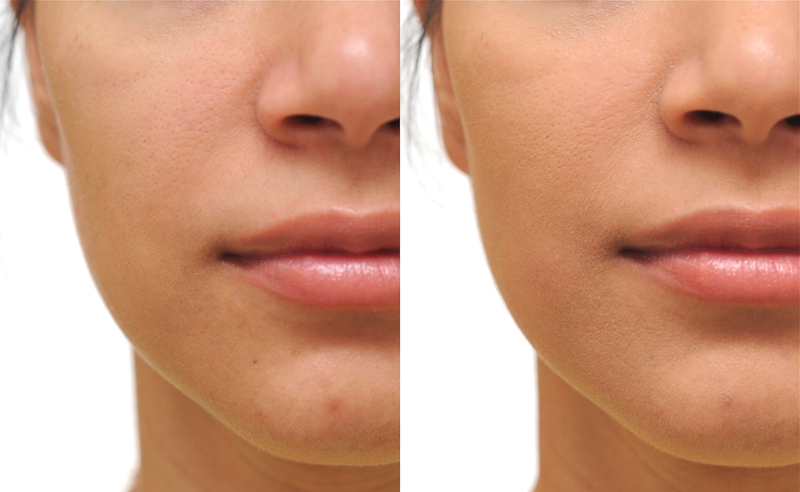 The smaller pores are also less noticeable and skintone is evened out well concealing the redness on my cheeks and around the nose. 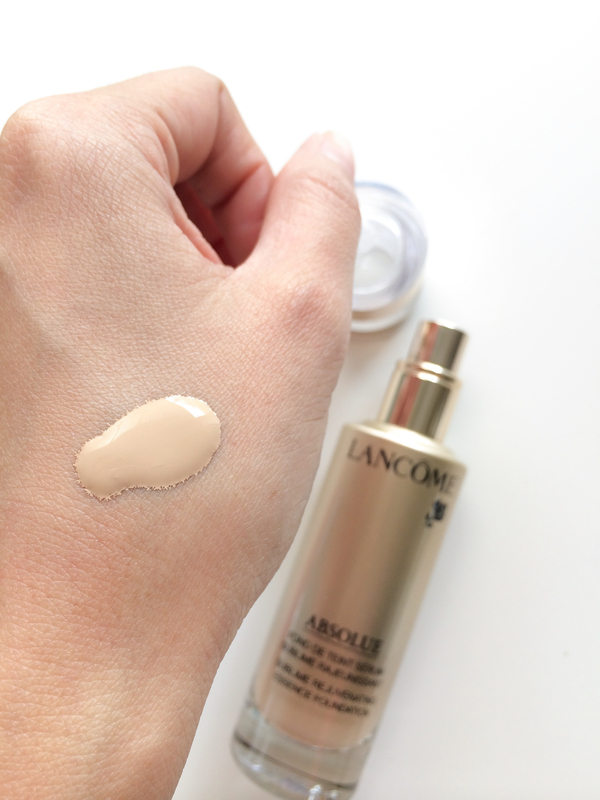 I also like that the foundation is quite nourishing and does not emphasise any dry patches or flakiness. Should work fine on drier skin types and oily combination alike. 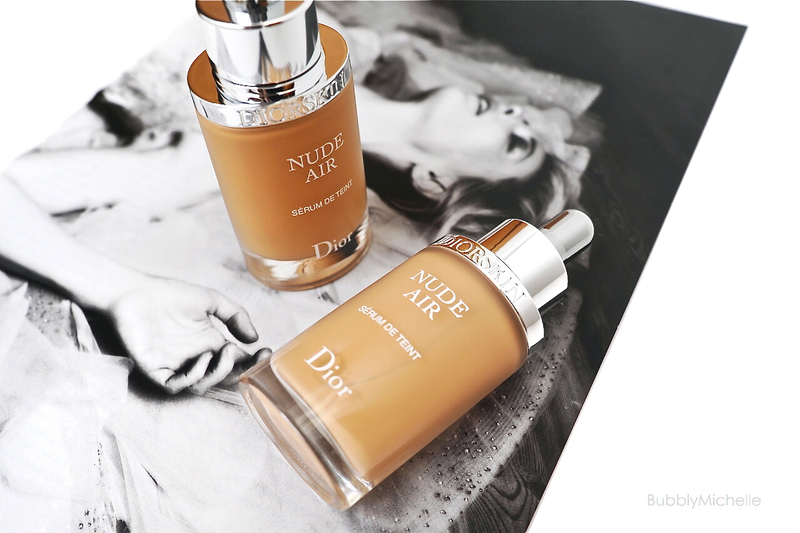 Overall this has a second skin finish, you don’t really notice the foundation at all. 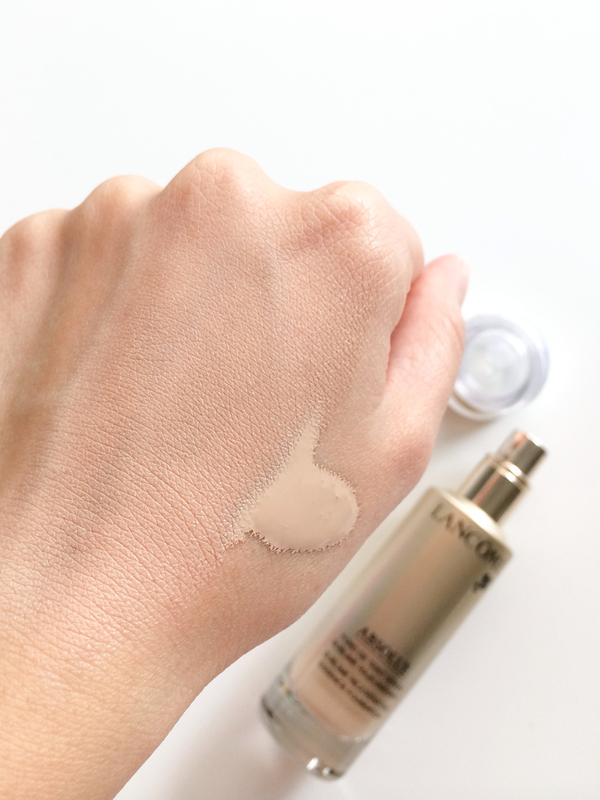 Something I love about the Pro Longwear Nourishing Waterproof Foundation. The foundation definitely lasts all day. I only noticed slight dewiness around the 4 hr mark (seriously good oil control in my opinion) but no migration or separation at all. I am especially pleased that it hadn’t broken down around the sides of the nose and was still pretty much in tact after 8 hours or so. 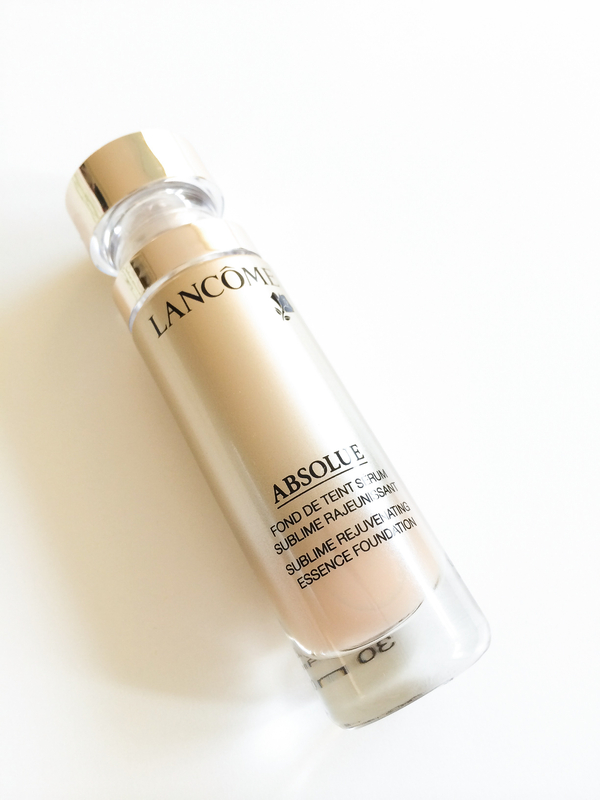 Overall I find this to be one of those rare foundations that performs well in extreme, hot humid conditions. As for the waterproof claims, it’s said to ‘repel’ water and withstand rain or tears and to the best of my knowledge, this is true. I do believe it’s quite water ‘resistant’ and probably withstand a little bit of water in the event you do come into contact with some. Though I don’t think it would last a swim or a shower! and I doubt it was ever intended to. You need to try samples. I can’t stress that enough. However based on my experience with this particular foundation, i’d advise you to go a shade lighter as this had a tendency to oxidise. But of course, on some of you it probably wouldn’t, so like I said, get a sample first. As you can see, the MAC is the darkest (this is after it oxidised) but it works fine right now as my arms are way tanner than my face. It also gives a nice bronzed look which probably wouldn’t look so forgiving if I hadn’t been tanning so much. 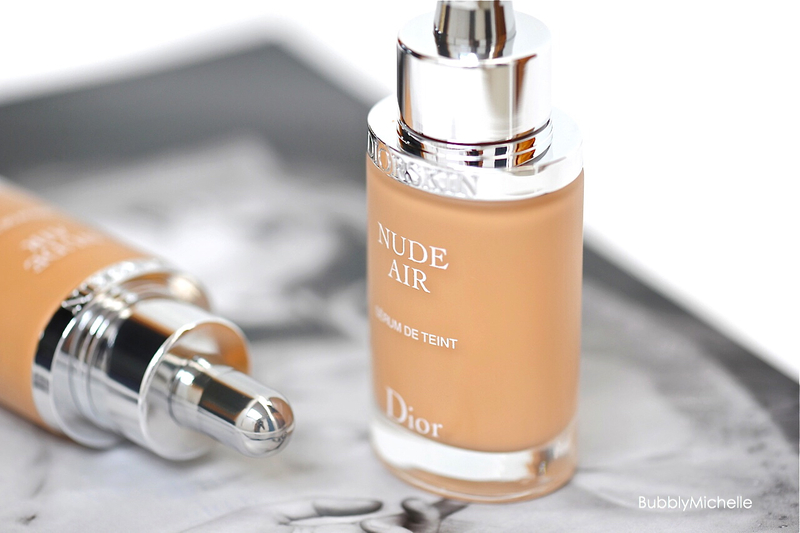 It’s my favourite foundation formula right now. 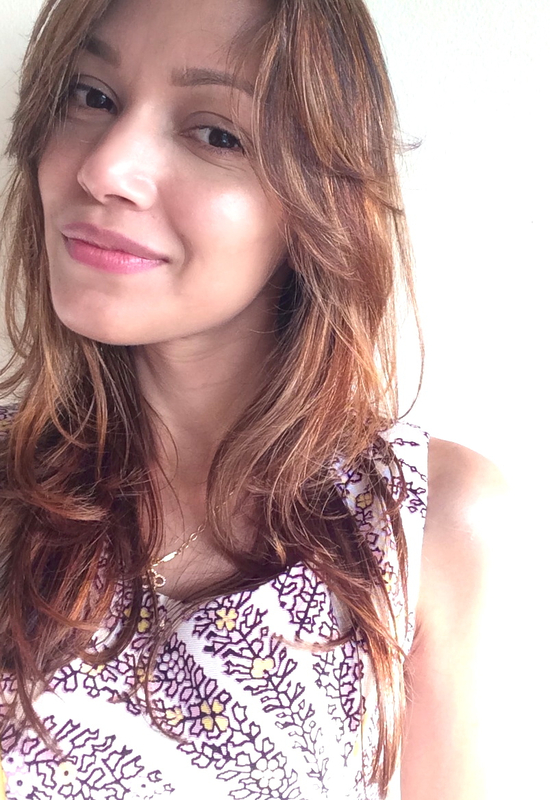 It perfects the face without looking like I have any foundation at all and that’s what I always aim for! 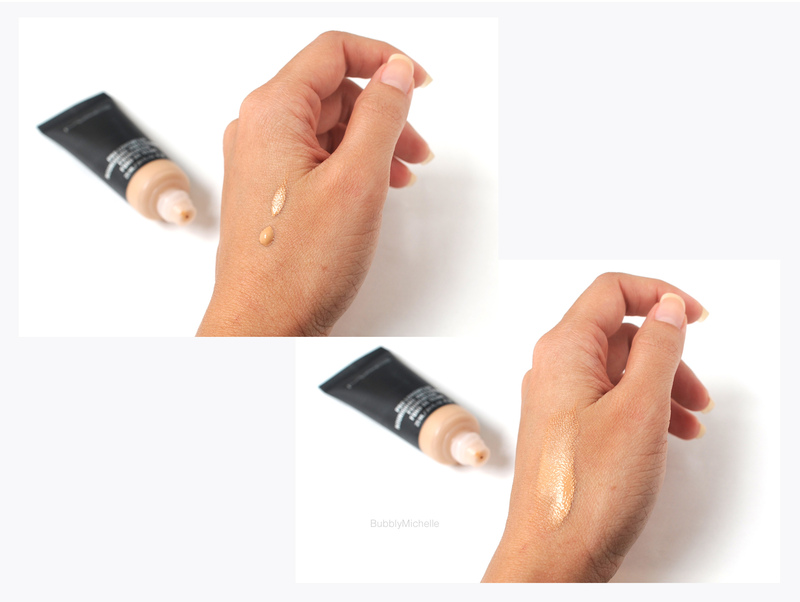 Pro Longwear NWF is lightweight, glowy and yet long wearing, quite unusual for dewy finish foundations. If you live in the tropics and been having difficulty picking a foundation that stays put all day. I’d highly recommend this. I’d also recommend this for mature skin as well as it has a very smoothing quality and doesn’t make fine lines look worse, which can be a problem with some foundations. 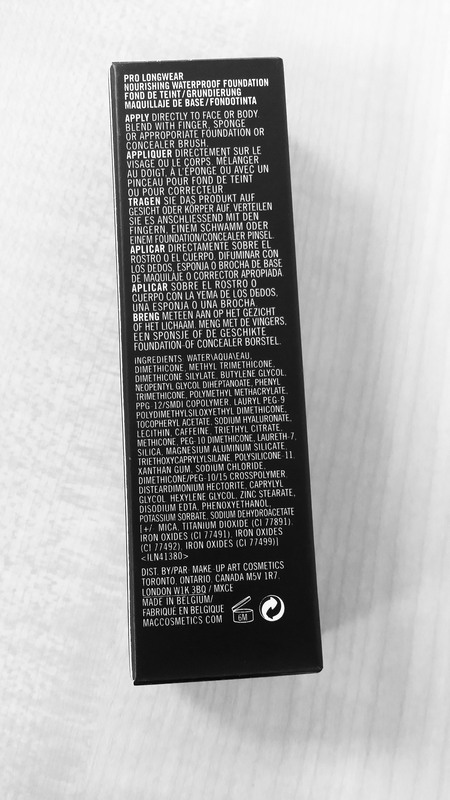 Another thing I noticed was that this is marketed as SPF free, although it does contains Titanium Dioxide right at the end of the list…. Huh…?? I’m guessing it’s probably a negligible amount, but does give a very slight flash back.